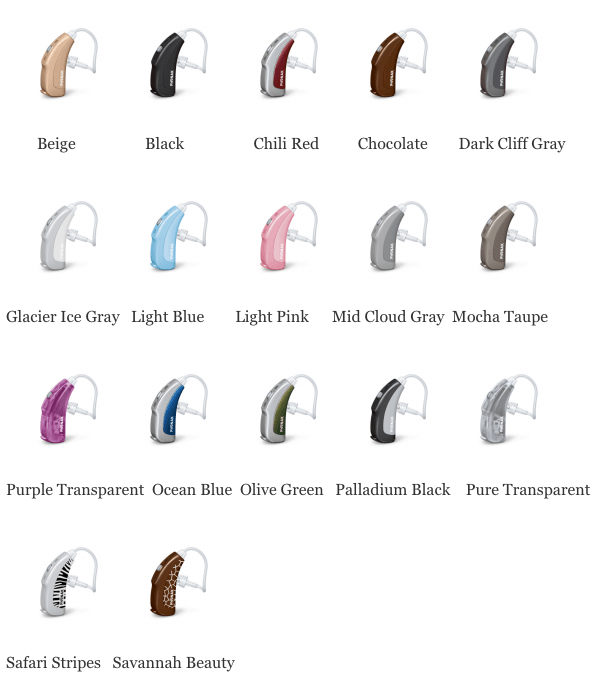 Updated November 4, 2016 – The Phonak Solana hearing system series, by Phonak, are an advanced series of Phonak hearing aids that are available in 10 different discreet styles, and 17 different colors. The Solana series is available in custom and instant In-The-Ear (ITE), Behind-The-Ear (BTE), and micro Behind-The-Ear (micro BTE) styles. This series can be used by individuals with mild, to severe hearing loss. With advanced zooming technology, this series of Phonak hearing aid allows for easier hearing in noisy environments. The Phonak Solana series hearing aids come with a variety of features that make hearing more comfortable, and more enjoyable for the user. 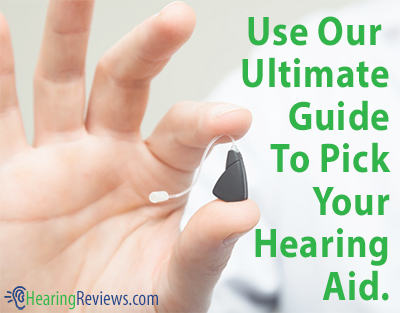 Specific technology available in each hearing aid is aimed at certain tasks. Some technology may help users understand speech better, while others may help the user to hear better in an ever-changing environment. SoundRecover: This technology provides the user with a better awareness of his or her surroundings by providing them with a fuller spectrum of audible sounds. This allows for improved speech hearing, and a wider hearing range of more natural sounds, and music. Specific technology in the Solana series hearing aids are aimed at helping the user hear in situations that typically cause discomfort for hearing aid users. 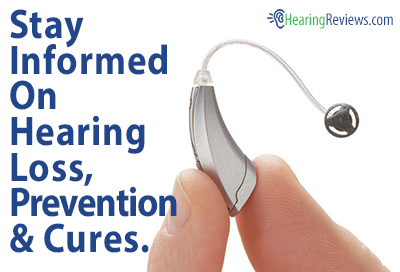 This technology provides users with easier, more comfortable hearing in noisy environments. ZoomControl: This provides users with the ability to control where the hearing device focuses, allowing for better directional hearing. Users may zoom to either side, the front, or the rear, depending on his or her current hearing needs. This allows users to conveniently, and easily, have comfortable conversations in cars, or other situations when the hearing aid user cannot directly face the speaker. UltraZoom Advanced: When having a conversation with multiple people in a noisy environment, this technology automatically focuses on the voices in front of the user, while reducing the background noise to the rear, and side. This makes conversations with multiple people in noisy environments much more comfortable. SoundRelax: This technology automatically reduces the unwanted or annoying impulse sounds in the user’s environment, allowing the user to focus on what is important. Additional technology available in each Solana series hearing aid allows the user’s hearing aid to adapt to changing environments, helping the user avoid unpleasant hearing situations. WhistleBlock: This advanced whistle and feedback reduction technology allows for more comfortable hearing, especially during situations that usually result in high amounts of feedback, like talking on the phone. This technology eliminates that annoying whistling. SoundFlow: This technology allows users to enjoy a seamless, and instant adaptation to his or her environment, regardless of the surroundings. This means that users can quickly transition from music listening, to having a conversation in background noise, without missing a word. WindBlock: This automatically suppresses wind noise that can quickly become annoying, increasing the user’s hearing comfort while he or she is outdoors, or driving. This significantly helps to reduce mental fatigue. Real Ear Sound: The user’s ear is extremely important in pinpointing the location of specific sounds. However, with some hearing systems, this ability is lost. With the Solana series of hearing aids, users are provided with more natural sound orientation, allowing for easy sound location. QuickSync: This wireless technology allows users to quickly adjust the settings of multiple hearing systems with the touch of a button. For example, changing the program or volume of one ear automatically changes it in the other. One technology in particular helps to make the Phonak Solana series of hearing aids more comfortable. Acoustically Optimized Vent: This fitting technology provides the user with maximum comfort, and minimum occlusion. 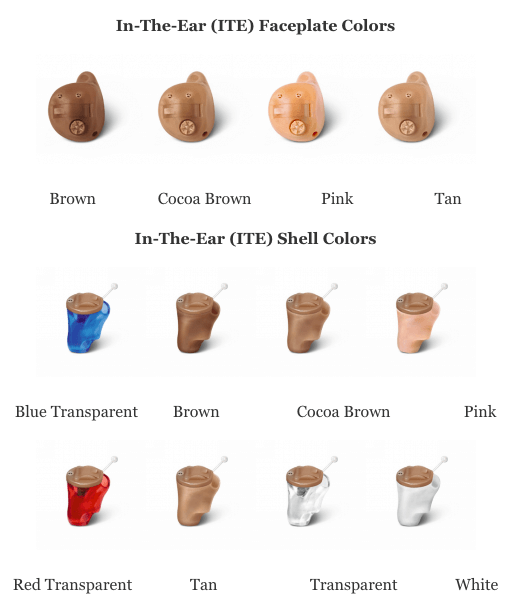 It is available in custom-fit hearing aids, as well as BTE hearing aid ear pieces. Phonak ComPilot: providing easy wireless access to televisions, MP3 players, telephones. Phonak TVLink S: dedicated television-hearing solution that provides very fast transmission directly to the user’s hearing aid. iCom: communication interface between the user’s electronics, and his or her hearing systems. Phonak PilotOne: allows for discreet control of the user’s hearing devices. myPilot: command center for control and status information about the hearing aid. MyLink+: allows for dynamic FM transmission to T-coil hearing aid users. SmartLink+: allows for easier hearing with connection to televisions, GPS units, and other audio devices. ZoomLink+: brings desired sounds directly to the user’s ears. EasyLink+: a single-button dyanmic FM microphone that helps make conversations easier to follow. ML15i: state-of-the-art dynamic FM receiver, designed to work with other FM transmission technology from Phonak. Available in a variety of colors. ML13i: design-integrated dynamic FM receiver designed for BTE hearing instruments. Available in a variety of colors. 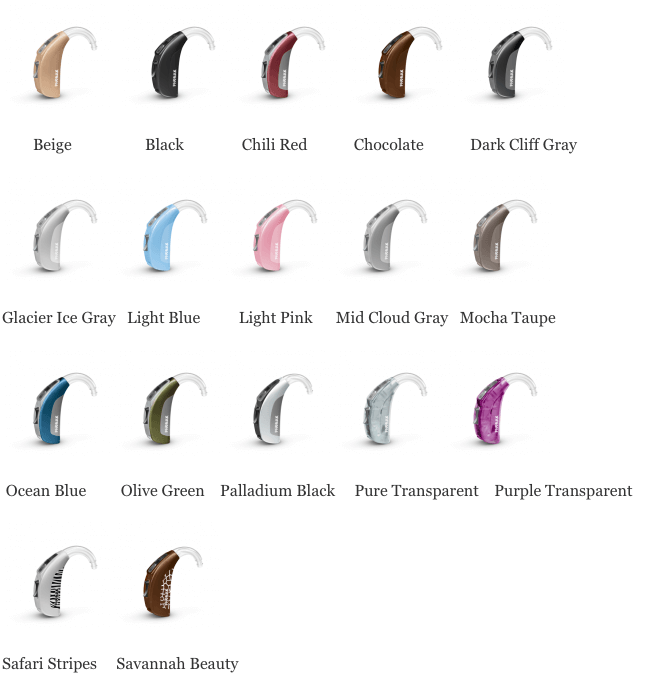 With its wide spectrum of available hearing aid styles, colors, and compatible accessories, the Phonak Solana hearing aids are likely to provide users with an affordable hearing system to help enhance the user’s life.